For courses in automotive principles. Complete guide to managing an automotive repair business, for both the novice and the professional Automotive Service Management: Principles into Practice is the most comprehensive text available to address the wide range of skills and knowledge needed to successfully manage or own an automotive repair business. Conversational and full of real-world examples, the text builds from basic knowledge of the industry and fundamental organizational and communication skills up through advanced leadership, planning, and human resource management. 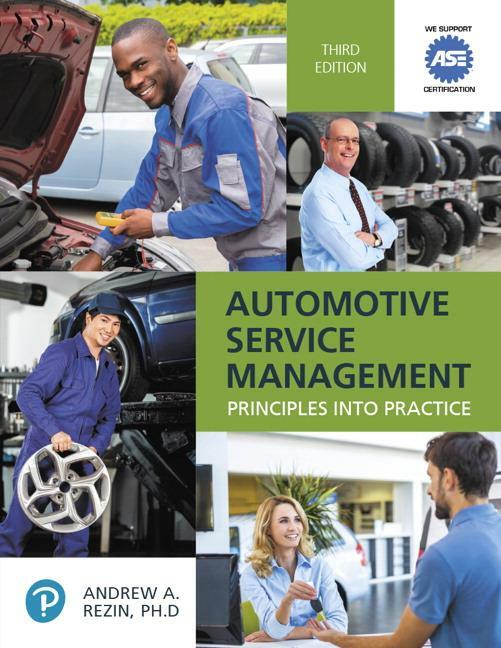 The 3rd edition includes the most up-to-date guidance on leadership, industry skill sets, and practical applications, plus a sample ASE C1 Service Consultant Test to help students prepare for success on this certification exam.